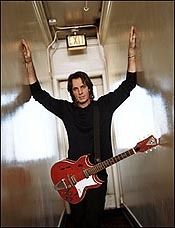 Rick Springfield started playing piano at age 9. He began playing the guitar at age 13, and writing songs at 14. 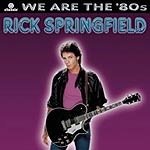 In 1967, at age 16, Springfield dropped out of high school to begin his professional music career. His first appearance in a band was as a singer/guitarist in the band Rock House. In 1968, the band changed the name to MPD, Ltd, then embarked on a tour of Vietnam to entertain the troops stationed there. In 1969, when Springfield returned to Australia, he joined a band named Wikety-Wak. Later that year, he joined the band Zoot. Zoot became one of the most popular Australian groups of the late Sixties. In May 1971, when Zoot broke up, Springfield began a solo career. He had a #1 hit single in Australia, "Speak to the Sky." Springfield relocated to Hollywood, California in 1972. Capitol Records signed him, and he recorded his first album "Beginnings." Speak To The Sky was re-released as a single in the US. 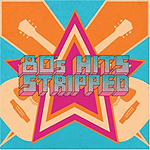 Exposure on American Bandstand, as well as being regularly featured in teen fan magazines like 16 magazine and Tiger Beat, sparked interest amongst teenage girls. 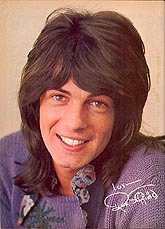 In 1973 he was signed by Columbia Records, who released his second album Comic Book Heroes (1974). It was hailed as a "concept record" but it failed to chart. In 1976, Springfield released a third album Wait For Night under the Chelsea Records label. While Springfield was out touring to promote the album, the record company went bankrupt, and the album fell off the charts. Although his achievements are not well recognized in his homeland, Australia, Springfield has long maintained a large and fiercely loyal fan base in the United States, Canada, and Japan. His many career achievements include a Grammy Award, four platinum albums, twenty US Top 100 singles and seventeen Top 40 hits including a US #1 and #2 single. 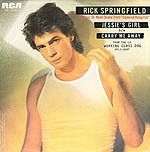 After releasing many albums with hit singles seemingly for fun, including many on the RCA label throughout the '80s - including the album Working Class Dog; which was notable for the smash hit singles, "Jessie's Girl" and "I've Done Everything for You" (not to mention a slew through the '90s also! 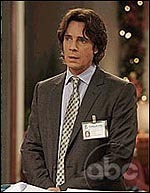 ), he still finds time to carry on his acting career on the set of 'General Hospital' as a recovering alcoholic and widower. You were in many bands growing up, but had your first #1 hit single in Australia in 1971 with "Speak to the Sky." Were you perhaps always aware – even at that young age - that being solo was where it was destined to be for you? ”Actually, I thought I’d always be in bands. But when I was in the Zoots back in Australia I met this writer who was very gung-ho about me going solo. And then when the band split up instead of joining another band I just started writing for myself and started putting out records. I then had a hit in Australia which got me a record deal over here and it kind of went from there." Are you currently working on a new album, perhaps? ”Yes, I am right now. We actually do one of the new tracks live so we need to get a new album done soon,” he laughs.